Kristin Knight Pace was born in Fort Worth, TX and graduated with honors from The University of Montana with a degree in photojournalism. After writing for several newspapers and magazines, she left the publishing world to lead a life worth writing about -- one of adventure. In 2009, she took to the road with her two dogs and drove north to Denali National Park, where her quiet life revolved around the nurturing of 10 dogs and the maintenance of a remote cabin. What was supposed to be a five-month stay turned into years on end, and now she has found and married the love of her life, become the Lead Backcountry Ranger for Denali National Park, and realized her dream of running dogs through the wilderness of Alaska. Kristin finished the 2015 Yukon Quest and the 2016 Iditarod. dogsled. 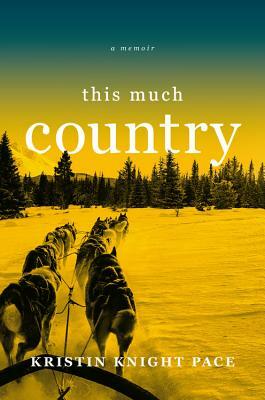 A gorgeous, intimate story of wildness and belonging." dream. A brave story, beautifully told." Pace's story will have you asking yourself what it means to really live a life."